Please visit the PV AAU Girls Basketball site at pvaaugirlsbasketball.org for the 2019 DQT Information. Potomac Valley AAU provides opportunities for young athletes to play basketball at highly competitive levels and assisting each athlete in their growth and development on the court and with their educational and social skills. Potomac Valley AAU. News Feed. 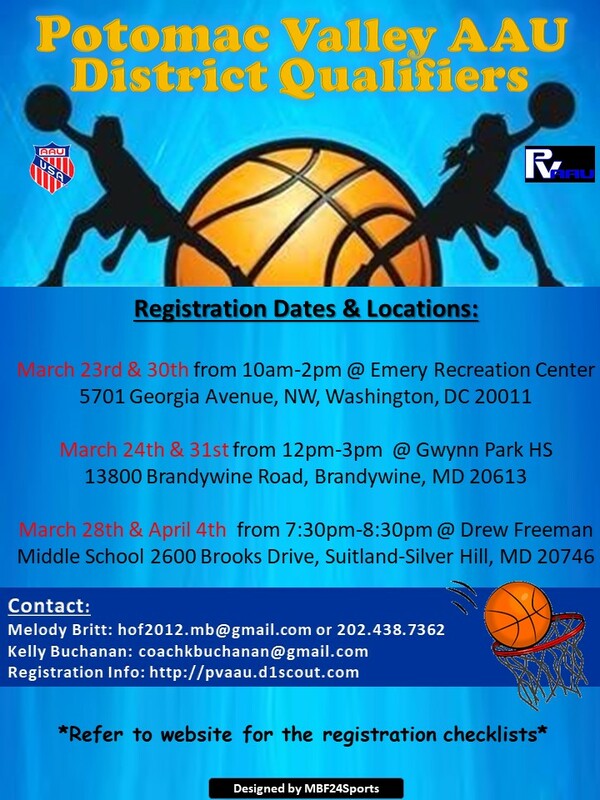 Be part of the Potomac Valley AAU! Our mission is to provide the opportunity for young athletes to play a sport at a highly competitive level. We are also committed to each athlete in assisting their growth and development of their athletic, educational, and social skills.